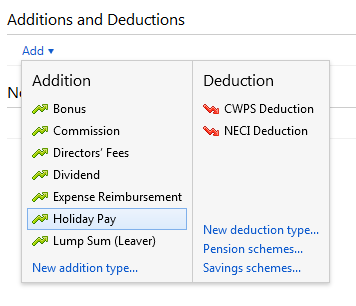 4) Enter the employee's holiday pay amount as well as any other payments, additions and deductions etc. 5) Enter a note on the employee's payslip, if required. 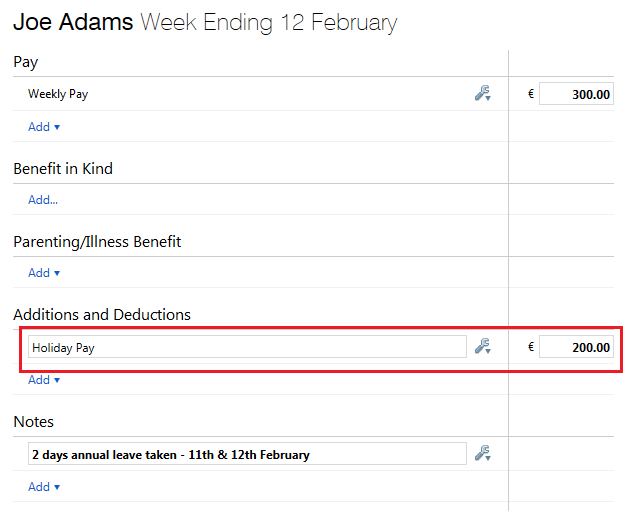 1) Within the current open pay period, click "More" on the menu toolbar, followed by 'Pre-Pay Following Week/Fortnight/Month/4-Week in this Week/Fortnight/Month/4-Week.. '. 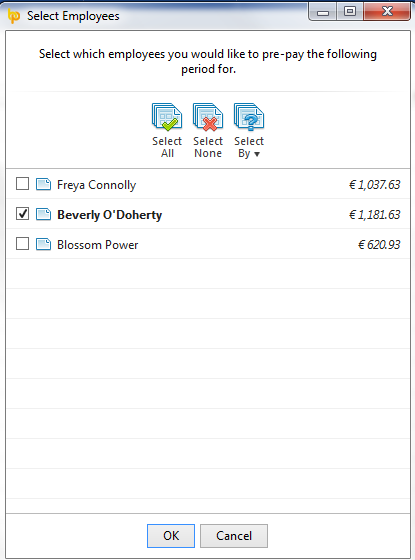 4) Pre-Paying more than one period - should you wish to pay an employee or employees more than one pay period in advance, within the pre-pay period, simply click "More" on the menu toolbar, followed again by 'Pre-Pay Following Week/Fortnight/Month/4-Week in this Week/Fortnight/Month/4-Week.. ' and repeat the same process.